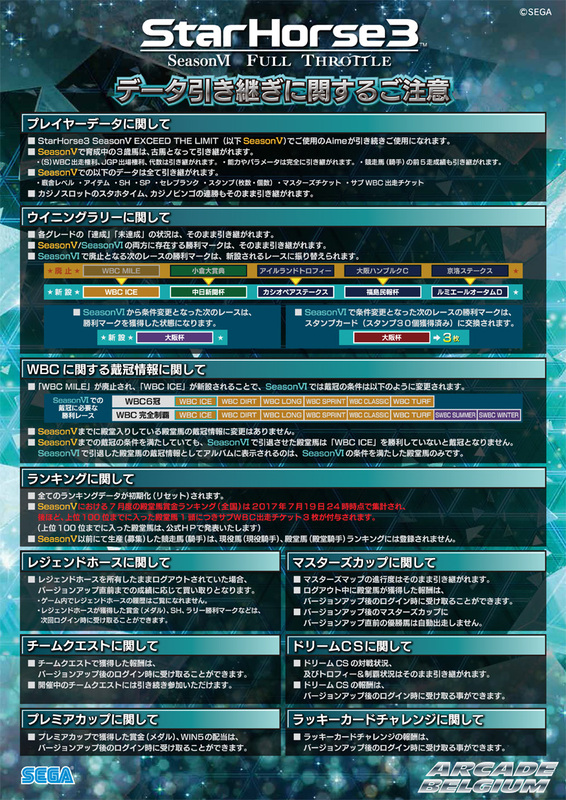 StarHorse 3 Season VI - Full Throttle will be present on Sega stand at the JAEPO 2017. 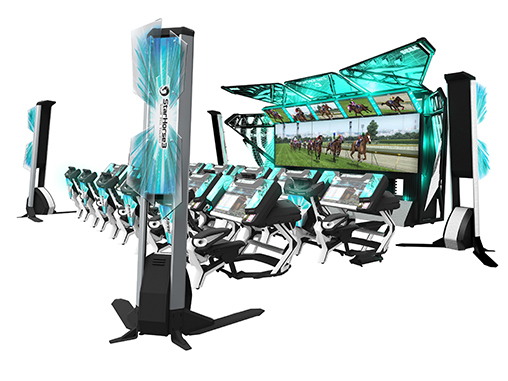 StarHorse 3 Season VI - Full Throttlesera présent sur le stand de Sega à la JAEPO 2017. 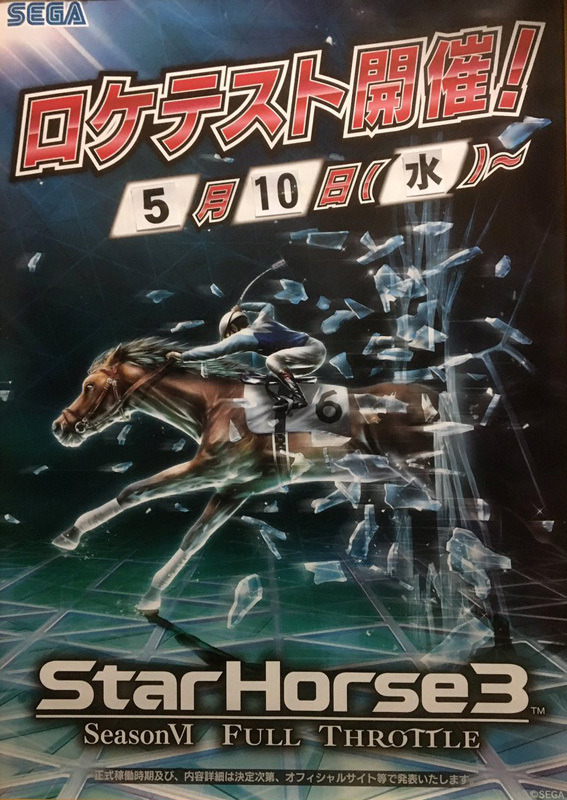 StarHorse3 Season VI - Full Throttle will be on location test at Adores Hachioji (Tokyo) on May 10. 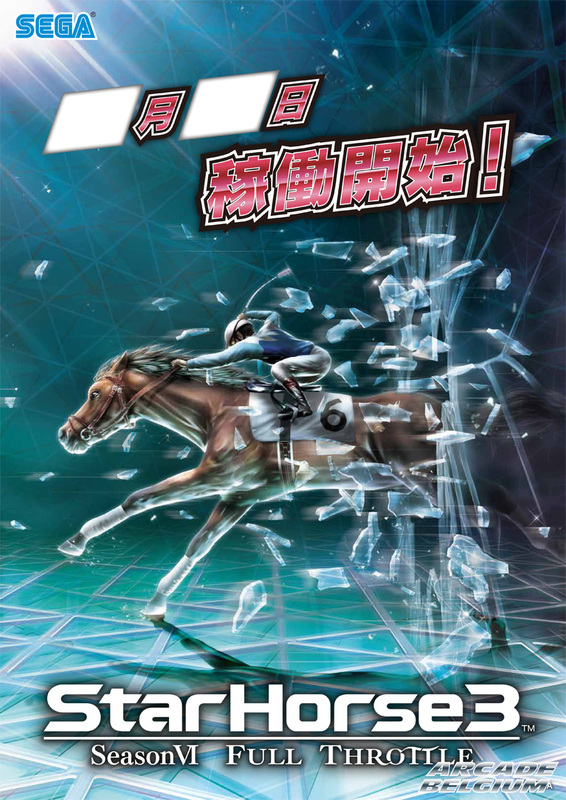 StarHorse3 Season VI - Full Throttle sera en location test au Adores Hachioji (Tokyo) le 10 mai. StarHorse3 Season VI - Full Throttle will be released on July 20. StarHorse3 Season VI - Full Throttle sortira le 20 juillet.